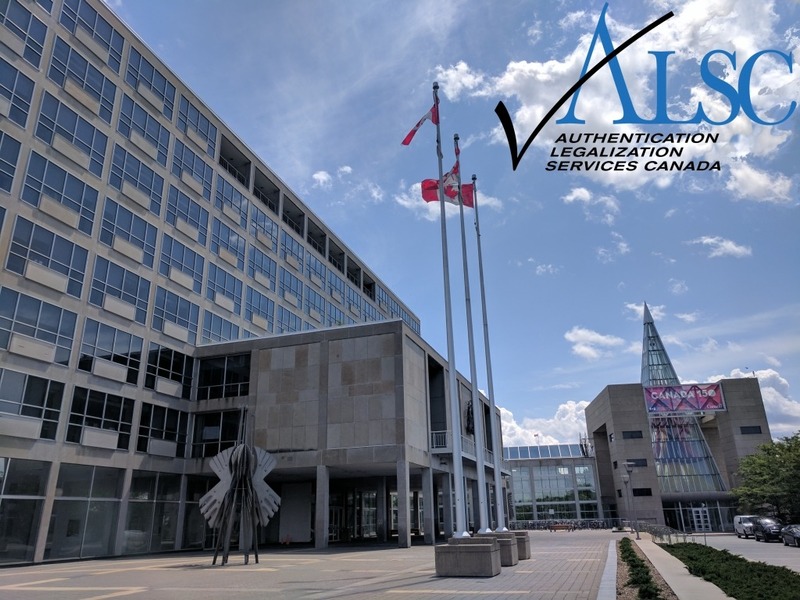 Below are the document authentication requirements for Global Affairs Canada Authentication Services Section. Only Canadian signatures on documents are accepted. The contents of the documents are not reviewed or approved. It may not be possible to process a particular document if the content is misleading or believed that it is to be used for a fraudulent purpose. You will be advised if this is the case. Religious documents are not accepted, even if they are certified, signed and sealed by a Canadian notary. In order to authenticate a signature the name of the person must be provided or the signature legible. Photocopies of original documents can be processed . However, they must be certified true copies, signed and sealed by a Canadian notary. Most lawyers are notaries, but please confirm that this is the case with the lawyer you select. Original long form Birth Certificate, Marriage Certificate or Death Certificate issued by the office of vital statistics of the relevant province/territory are processed. Note: plastic, wallet-sized versions of these certificates can not be processed. Marriage search documents issued by the province of Ontario must be notarized before they will be processed. Photocopies of birth, marriage or death certificates can be processed. However, they must be certified true copies, signed and sealed by a Canadian notary. You must ensure that the country where you are using the certificate will accept a photocopy. Religious documents will not be processed even if they are certified, signed and sealed by a Canadian notary. Examples include: baptismal certificates; religious marriage certificates; or any documents issued by a religious institution. Only degrees or student transcripts issued by Canadian educational institutions, and recognized by the appropriate provincial/territorial ministries of education, are processed. Canadian university or college degree or transcripts must be signed and sealed by the relevant Office of the Registrar. A full signature, name and title must appear on the document. Canadian high school or elementary school transcripts and diplomas must be signed by the principal or vice principal of the school that issued the document(s). A full signature, name and title must appear on the document. Only school diplomas and transcripts can be accepted without being notarized. All other letters have to be notarized before they will be authenticated. The following documents cannot be processed unless they are notarized: course certificates; Teachers of English to Speakers of Other Languages (TESOL) certificates; award certificates; or other documents that are not specifically degrees or transcripts. Photocopies of degrees and transcripts can be processed. However, these must be certified true copies, signed and sealed by either the relevant Office of the Registrar or a Canadian notary. In the case of degrees or transcripts from foreign educational institutions, you should contact the nearest embassy or consulate of the country from which the document was issued. That office will advise you of the procedures you will have to follow to have your documents processed. Divorce Certificate and Legal documents such as a Power of Attorney must be signed and sealed by a Canadian notary. Medical reports must be certified by a Canadian notary, or by a representative of the relevant provincial/territorial medical association. If the documents are not properly certified they cannot be processed. If your documents are not listed above they must be notarized before they can be processed. All criminal record checks, fingerprint certificates and documents originating from any local or provincial police station in Canada must first be notarized by a Canadian notary prior to being processed. Police Checks issued by RCMP headquarters in Ottawa do not need to be notarized. Contact the embassy or the consulate of the country concerned to verify if a notarized photocopy of a document will be accepted or you need to have the original document notarized. If you need an original document, you must request the police clearance from RCMP headquarters in Ottawa. 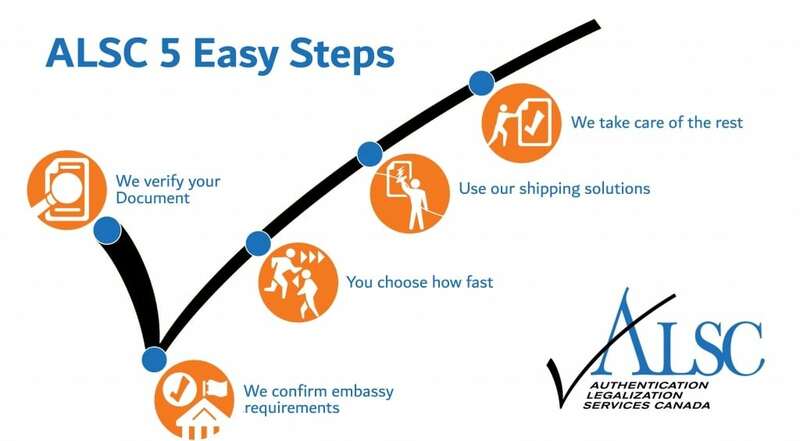 Foreign documents must be signed and sealed by the foreign country’s embassy, high commission or consulate in Canada or as an alternative you can get a certified copy notarized by a Canadian notary. Documents that are in a foreign language must be translated by a certified Canadian translator into English or French and notarized by a Canadian notary before they can be processed. Translated documents must be sent with the original document. If the original is written in a foreign language, you must have it translated into English or French by a certified translator and then have it certified by a Canadian notary. Documents (regardless of the language) can only be processed if they are certified, signed and sealed by a Canadian notary. If the documents you send are not accompanied by an English or French translation, or if documents are not properly certified, signed and sealed, they can not be processed.